We can provide a home for other foundations or projects which would benefit from being part of a charity, but which do not wish to set up an organisation themselves. share our vision and current goals. Our hosting arrangement is particularly suitable for families wanting to create a legacy fund in the memory of a relative with the goal of undertaking mental health research. To find out more please contact us. 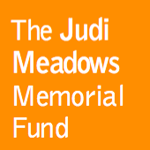 We are proud to host the Judi Meadows Memorial Fund, which was set up in 2009 to help prevent deaths by suicide. We support the fund by administering their donations as a restricted fund in our accounts and matching donations such as those raised by an art auction in 2012. In February 2018, the Judi Meadows Memorial Fund released Finding the words: How to support someone who has been bereaved and affected by suicide. We are proud to host WordsThat Carry On: Linday’s Fund which is dedicated to investing in mental health research. It has been set up in memory of Lindsay Riddoch, an ardent advocate for better mental health services who was intent on ensuring people who lived with mental health problems had their voices heard. Words That Carry On was set up in 2018.